Short innovation cycles in software and hardware make architecture design a key issue in future development processes for embedded systems. The basis for architectural design decisions is a transparent architecture evaluation. Our model-based approach supports a uniform representation of hierarchies of quality attributes and an integration of different architecture evaluation techniques and methods. We present a metamodel for architecture evaluation as a basis for the precise description of the quality attribute structure and the evaluation methodology. 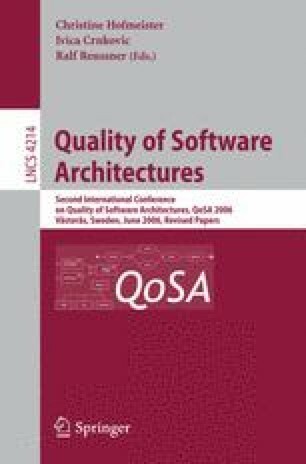 By modelling architecture evaluation, the relationships between architectural elements and quality attributes and interdependencies between quality attributes can be represented and investigated. Thereby, the architecture exploration process with its evaluations, decisions, and optimizations is made explicit, traceable, and analyzable.